Do your current and future patients know exactly how you help them? If someone new visits your website, is it clear what type of physician you are? Content is taking over the world! At least, it’s taking over Google and Google pretty much runs the world. So it is more important than ever to have a strong content campaign as a part of your digital strategy. And with so much noise out there and other physician offices vying for patients, your medical website content needs to stand out from the crowd. To accomplish this, you need a plan. And not just any plan. But one that actually helps you reach your goals. But how does one go about creating a content strategy from scratch? Let’s establish from the beginning that this should not be a rushed process. It also cannot be done in a vacuum. Multiple people in your practice may need to be involved in creating your strategy because multiple people will ultimately be involved in implementing your strategy. If you are sole practitioner or have a limited staff, then you may have top outsource or wear all hats. So assemble your team, and follow this five-step process to establishing a content strategy that includes all the necessary ingredients for an outstanding campaign. 1. Get to know your medical practice. A common understanding of all of these elements is going to give you direction and have an impact on the type of content you create. …and get to know it well. While demographic elements like age, gender, are occupation are important, you need to go deeper than that. Create audience personas that identify your market’s anxieties, daily tasks and schedule, hopes and dreams, job details, and expectations. But getting to know your patients isn’t enough. You need to know how to connect with your patients. So identify who is influencing your ideal patients, where the influence is taking place, and what they are talking about. Are they on LinkedIn talking about Obamacare? Or on blogs trading recipes? What relationships do you need to start building in the industry to reach your current and future patients through this content and what does that content need to be about? Lastly, take a good hard look at other doctors, the type of content they are creating, who it is reaching. If your competitor as a thorough case study library, you will probably want to focus on one as well. If your competitor is focused on blog but has no white papers, that presents an opportunity to gain a competitive advantage. Create a thorough list of all of the content you already have, both on your site and in a blog and offsite through published articles or interviews. But don’t just log the content’s existence. Look at how it has performed. Did it get many social shares? How many people read the blog? Were there any comments? Did someone contact you after reading that post? See if you can identify any trends or pieces that performed particularly well and why. 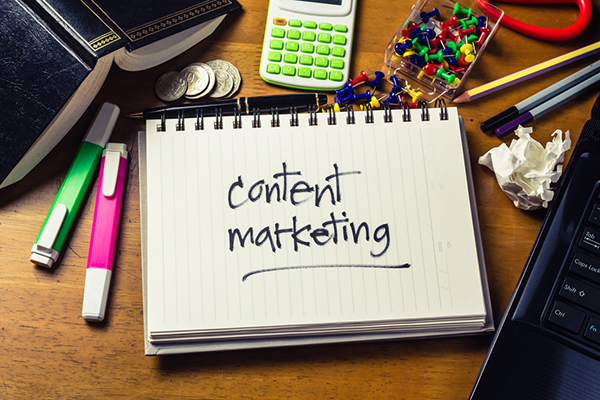 Based on the knowledge you have acquired on your target market and your existing content resources, pick from the following list of content types what you think your market will most respond to. The possibilities are endless for what you can create, so don’t pigeon-hole yourself. Vlogs (video + blogs) can work very well for physician referrals where you may have little time to sit down and write an article. SlideShares are a great way to present information visually. Again, if you notice other doctors only producing one type of content, see if you can gain a competitive advantage with a new type. But always keep your target market in mind. If your target market is elderly cancer patients, you may or may not want to go with cartoons. Ideally, put the content calendar in a collaborative document so everyone involved in the campaign can access and update it any time they need. Get as detailed as possible and stick to the schedule.